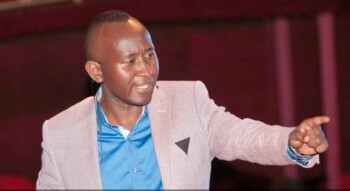 On January 6 2015 Ugandan Christian minister Elvis Mbonye shared a prophetic word of warning about a coming economic collapse in the United States. He saw the economy plunging in June/July 2015 and continuing to go down for years. He gave the exact date of the 2004 Indian Ocean earthquake and tsunami (26th December) 3 months prior to the disaster. The overthrow of governments in North Africa (Egypt and Libya) prior to any signs of upheaval. See many other fulfilled prophecies on his website. The following is the transcribed text of his prophetic warning for the United States economy. The 4-minute YouTube video is also shown below, but his English is very hard to understand. His warning also includes a prophecy of a coming alliance between Russia and China. There is one thing that is very, very terrible and tragic global impact that I thought I might forget so I have to mention it right now. When we get to June and July the economy of the United States is going to plunge. It is going to start a course of plunging. It is going to get on that course like going down and it is not going to be one of those things where then it is recovered in a month’s time you know, then it is recovered. It is not going to be. It is going to be one of those things that take down the nation. Now there is a reason why I felt its importance for starting out here and not to lose it. The Lord, the wisdom of the Lord is, for a lack of better words, we can call it self-reliance. Of course there are going to be withdrawals. First of all, when I am sharing these things, I am not an economist, so if I don’t eloquently bring out something you understand it. And yet, if I speak things, and you misunderstand it for being an economist, then you are, you know, you will be totally messed up. Now the thing is you should know that me not being an economist, how would I get to know certain of those things. So you should seek God on that. Those of you who can act, and the Lord has placed most of you in some positions that you may start acting. Especially the children of God where we become a light during a time like that. So it is going to plunge, and it is going to keep going down and down and down for years. Years! Then it is actually going to start out, the what, the beginning of the real falling of that nation. Then the dollar, I saw a point when the dollar was non-existent as the what, the global force, like currency. You will see it diminish with time. In that trend, I began to see something, which again you will begin to see this year (2015), I began to see Russia and China. You will begin to see meetings of those two. Like publicly, they will make them public. And they will start striking an alliance together, and they will grow so strong and they will become the voice that will be heard on the earth. And so, anyway, the warning is this. The caution is this, is on reliance on western resources. And the Lord has placed within us enough to sustain us. So we should not actually call it self-reliance. We should call it God-reliance because that is actually what it is better. So now you who are placed in some of these places to make some, to prepare yourself for that time. You need to do that while the others are waking up. For your better position to run whatever you are running for the glory of God. The following video is provided for anyone who wants to learn more about the ministry of Elvis Mbonye and Zoe Fellowship. Thanks to Shan Story, a visitor to this site, for sharing this prophetic message with us. Vagueness in prophecy never does make a splash. Just leaves us in leftcfield to wonder. Hi James, Elvis Mbonye’s prophecy is totally fulfilled. The U.S. economy plunged in June/July 2015 though the stock market has not collapsed yet. Please check the following past records : #9 The ISM Manufacturing Index, which is the most important measurement of U.S. manufacturing activity, has fallen for four months in a row. http://www.zerohedge.com/news/2015-11-03/18-numbers-scream-crippling-global-recession-has-arrived And a major global recession is here. Jonah’s message to Nineveh was, “In 40 days, Nineveh will be destroyed” Do you remember? But they repented and it didnt happen. The solution (which is close to impossible now) is for the USA, as a nation, to repent and turn from evil. The thing is, in ALL of the OT Bibles descriptions of repentance it started with the king, his governing body, the religious leaders, down to the everyday people….. i.e. our leaders would have to step up and repent. Our leaders are arrogant and seem to be satisfied doing the bidding of the one in the WH……… Not exactly Nineveh is it ? Has this man ever said “thus saith the Lord” and then it didn’t come to pass? Well then you know, either way. As far as the economy/market crashing, lots of folks who are not Christian have believed that’s what’s coming this year or next. Since last falls drop. The US markets changed last July 2014 & have not recovered their strength; at the same time the USD has been roaring & commodities whimpering. One tidbit, in summer 2008 commodities & China began crashing…then the US markets followed. Fast forward to July 2015 exactly 7 years later- we have the same situation with c&C. From my point of view as an economic news junky & 40 hour a week market watcher/trader, I believe this guy is spot on & the cracks are appearing just like he said. But it has been going on longer then just this summer; it’s speeding up though. In my opinion. Watch Phil at philstockworld.com, he’s expecting a DOW death cross shortly & markets falling in August. As I can see here, many users read something and interpret as something fix. But mostly you have to read twice or more to catch all points. He said that the economy would start to plunge. That does not mean that the stock market reflect the plunge at the same time. Of course it does not in our manipulated world. There are a lot of charts out there esp. at zerohedge where you can see the divergence between shares and earnings / yields and so on. If it is not july, it will be sep till dec of this year. I don’t see the different, I don’t buy stocks. But I am glad you are happy with your decision on holding your purchase, it seems you are right on your decision. I am right now more concern about whether America the Babylon will be back up wealth and strong again after this deadly collapse or NOT. I know the sins are so great that God is determined to punish this nation, no more delay, but does that mean America will be dead from now on? We wiil becoming third world country? if so, then how come in Rev 16:19 and chapter 18 show that Amercia the babylon is wealthy when she’s at her final destruction in the seven bowl of God’s wrath? while we are now just in the third seal. I am so confused. With headlines like “more positive growth 2nd half of year” seems to me to be confirmation that this prophecy has failed, now that its the end of July and the market is still hovering at 2100. This is not even a start on a downward course at all as far as many of us can see. Glad I’m holding out on my purchases to august. No need to buy a lot of unnecessary time on my puts and faz is looking very attractive in this $10.35 range. That depends on who you believe. The mainstream news media is pure propaganda telling us everything is wonderful, nothing to worry about. Meanwhile, we are entering into one of the biggest storms our country has ever faced. Time will tell, but Elvis saw us beginning a course of plunging and technical analysts are already reporting that is now happening. The upward trend in place since 2009 has now been broken and a new trend is now starting, a new course, exactly like he saw. Hi A.B. Thank You so much for keeping us informed. I have been paying attention to your posts. I am glad to hear the Prophet reveal The Lord continue bless HIS children and provide special financial grace in the coming hard time. I wonder what is the special financial grace that God will give us…I don’t know if this is alright to ask, I am just curious. But this is not the main point of my post. I know the prophet said US economy will plunge and that will take down the nation. I wonder in this current positive message, is there any indication or any hint that the US will be back up after this deadly economic collapse? The reason I ask this question because I am not sure the US will be totally dead or become a third world country in the third seal as it is opening now. But I may be wrong. I was directed to REV 16:19, this verse show the timing of the final destruction of America the Babylon, and it is in the seven bowl of God’s wrath, not in the third seal, which is not now. And the kings of the world and merchants cry over her wealth at that moment. That’s why I thought America may have a chance to come back up after this serious collapse. It is just something brothering me right now. If you hear more messages, please keep us informed. It is greatly appreciated! Best regard!